Choosing to buy a motorcycle is a big decision and a most exciting one. It is also one that can come with some confusion, and it can get to the point of being overwhelming. This is because there are many different types, styles and brands of motorcycles to choose from. If one puts their excitement aside, which could be spurring them into making the wrong decision, and thinks through the purchase of the bike carefully, then they will end up with the motorcycle best for them. It is very common for those that are going to buy a bike, to ask other bike riders what their suggestions are. The risk that could exist with doing this is getting the wrong information. Not that these bike riders don’t know which the best bikes are, but they may focus on what their preference is, as an experienced rider. Not taking into account that you, as a new bike rider, do not have the experience that they have. Another question that undoubtedly needs to be asked of oneself is what kind of riding are they expecting to participate in the most. This can be a challenging question to consider at the beginning. The general thought is, that once you get your bike, you are dreaming of taking long cross-country rides. However, it may end up that most of your riding is going to be done in short runs, with groups of friends, for example. These two types of bike riding may require a different kind of bike. However, it may not make a significant difference between your choice of bikes. As a motorcycle enthusiast, chances are, you have done some research, and have already formed some preferences of bikes that you like the best. The next thing that you really need to zero in on is some of the characteristics of the bikes of interest, and whether it is appropriate for you as a new rider. You are going to want to look at things such as the weight, and the power, and the requirements that come with handling that particular bike. These are a lot of choices to have to consider, but by knowing reasonably well what type of motorcycling you are going to be doing, will help you to narrow this list down. Once you have done that task, then you can do further research, as to the brand, and style, that appeals to you the most. 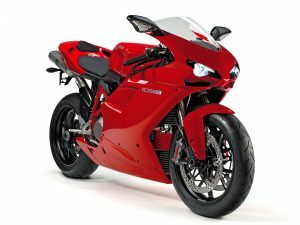 Another factor that often has to be considered when buying a motorcycle is the budget. This can lead individuals to look at purchasing a used bike, as opposed to a new one. Another reason an individual may want to buy a used bike is to become familiar with motorcycle riding and to be able to test out a bike that they think that they do want to own. This gives them the option of not paying as much money if this is not the desired one in the end.